VietNamNet Bridge - Many farmers have chopped down coffee trees and shifted to durian and fruit trees after incurring big losses with coffee farming. The coffee price in the world market fell to its lowest point since Q1 2016 to VND32,000 per kilogram. Phan Xuan Thang, deputy chair of the Vietnam Cocoa and Coffee Association (Vicofa), said that farmers cannot make profits with that price. Many households in Dak Lak have scaled down investments, destroyed old coffee gardens which give low yields. and have shifted to grow durian and other crops which can bring higher value. Truong Hong, acting director of the Tay Nguyen Agriculture & Forestry Technology Institute, an experienced farmer, said he can harvest 10 tons of coffee beans per hectare and make a profit of VND70-100 million a year. The revenue remains unchanged, but the real income of farmers is 40-50 percent lower because of the increased input materials and labor costs. Warning that more farmers are considering giving up farming, Hong said coffee bean collectors, exporters and roasters need to share profits with farmers or the coffee industry will be in danger. In the supply chain comprising of producers, processors and distributors, farmers earn the lowest profit. According to Nguyen Do Anh Tuan from IPSARD (Institute of Policy and Strategy for Agricultural and Rural Development), problems still exist in preservation and processing. Vietnam needs to do better so that farmers can have higher income. Experts have suggested applying PPP model in agricultural production and coffee cultivation. However, it is necessary to manage the state’s money flow. Decree 116 stipulates that banks and businesses need to outline a cash flow management procedure. Grahame Dixie, CEO of Grow Asia, noted that all the countries with developed agriculture have PPPs and relevant associations to support farmers. However, big challenges may hinder the PPP model development in Vietnam. That is why Nestle Vietnam is the only firm that has applied PPP, while other enterprises, both foreign invested and Vietnamese, are not interested in the model. Thai Nhu Hiep, chair of Vinh Hiep Company, thinks it is a good idea to organize a value chain in the coffee industry, but noted that Vietnam would meet difficulties because most coffee growers are households with small scale. 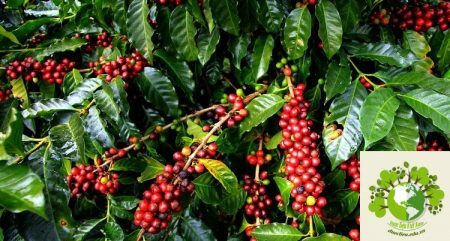 The Ministry of Agriculture and Rural Development (MARD) said that coffee will still be a key farm produce for export of Vietnam, but that it is necessary to maintain current output and improve quality.